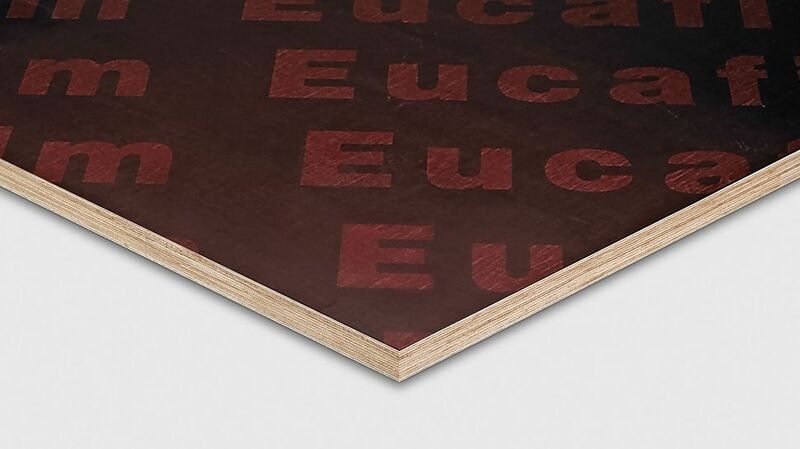 The core veneer construction of the EucaFilm plywood panel consists of eucalyptus. The poplar face veneers are coated of approximately 200g/m² film on both sides. Mostly used as loose formwork panel, the EucaFilm plywood is low-price imported plywood with WBP-bonding.